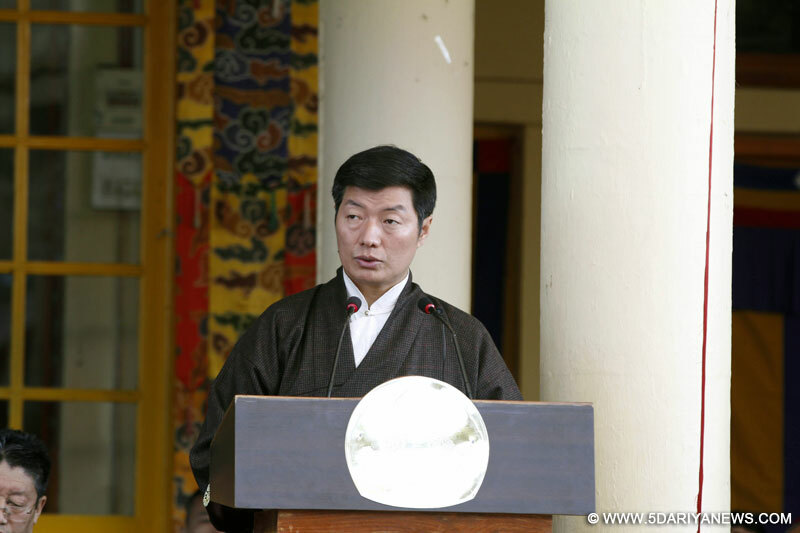 Harvard-educated lawyer Lobsang Sangay has been re-elected prime minister of the Tibetan government-in-exile, officials announced on Wednesday. Sangay vowed to continue the "freedom struggle" of the Tibetan people.He defeated his only rival, Penpa Tsering, receiving about 57 percent of the 58,740 votes cast across the globe last month.As the results were announced in the hill town of Dharamsala, where the Tibetan administration-in-exile is based, Sangay said the success of the polls showed the "consolidation of democracy" among Tibetan exiles and urged the world to recognise the legitimacy of the government-in-exile. "It's a clear statement that even exiled Tibetans are practising democracy, as China is not," he told reporters.It was the second election since the Dalai Lama stepped down as head of the government-in-exile in 2011.Since then, the significance of the prime minister's post has gone up. The Dalai Lama was, however, not a voter. "Although there are approximately 150,000 Tibetans in exile, a total of 90,377 Tibetans registered for the final election. However, only 59,353 people actually turned up to vote in the final Sikyong (or prime minister) elections," said a statement quoting chief election commissioner Sonam Choephel Shosur.Voters also elected 45 members of the parliament-in-exile. A total of 94 candidates were in the fray.In India, voting took place, among other places, in Darjeeling (West Bengal), Bylakuppe (Karnataka), Bengaluru (Karnataka), Dehradun (Uttarakhand) and Delhi. Some other countries where elections took place included Japan, Russia and Australia.The current five-year term of Prime Minister Sangay will expire in August. The 47-year-old Harvard-educated Sangay was the first political successor to the Dalai Lama.Sangay's chances to get re-elected were high as he secured 19,776 votes more against his close rival Tsering, who polled 10,732 votes in a first round of voting in October 2015. At that time, 47,105 Tibetans voted.Both prime ministerial candidates -- Sangay and Tsering -- had campaigned aggressively across the Tibetan settlements. Even the social media among the Tibetan diaspora was aggressively followed to highlight their issues and agenda.Since assuming power in August 2011, grant of more autonomy in Tibet "within the Chinese constitution", creation of awareness on Tibet and education of the exiled youth were among crucial issues before Sangay.He took over the reins of the government-in-exile from monk-scholar Samdhong Rinpoche, who held the post for 10 years.The 80-year-old Dalai Lama, the global face of the Tibetan exile movement, lives in exile in this northern Indian hill town along with some 140,000 Tibetans, over 100,000 of them in different parts of India. Over six million Tibetans live in Tibet. Innovative Action Plan for Speedy Hydro Power Generation in H.P. Off-Season Vegetable Cultivation Transforms Rural Economy in H.P. Advertisement to buy two turbans!